Make no mistake about it. Let It Be: A Celebration of the Music of the Beatles, which just ended its run at the St. James Theater and is about to embark on a North American tour,is no mere Broadway musical. It is much more. It is a play that not only requires good musicians but fine actors as well. From the first note struck on the guitars to the last note hitting a piano key, Let It Be is a tour de force of the musical lives of four guys from Liverpool—John Lennon, Paul McCartney, George Harrison and Ringo Starr. It is amazing when one realizes that it was nearly 50 years ago that the Beatles landed in New York and took the country and eventually the world by storm. Not content with merely churning out hits, the Beatles decided to change the world through music. Starting off as four mop tops singing, the group eventually evolved into a group that, by 1964, was attempting to change the world by advocating peace, harmony and love. 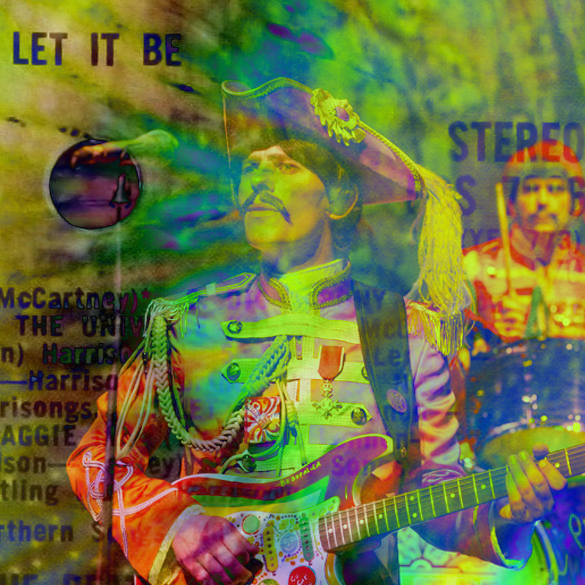 In essence, that is the charm and legacy of the Beatles—all captured in Let It Be. Superbly played by the cast members—Graham Alexander, Roberto Angelelli, Jimmy Coburn, Tony Coburn, JT Curtis, Tyson Kelly, Chris McBurney and Luke Roberts, with John Korba and Daniel A. Weiss—both the music and spirit of the Beatles is brought home at the St. James. Add in the special effects and the music production by John Maher, one is taken on a trip through space and time accentuated by music itself. In fact, John Lennon, adeptly played by Reuven Gershon, is virtually reincarnated on stage. And the guitar solos by John Brosnan (George Harrison) are knock outs. Amazing stuff. Let It Be is a total experience. Great visuals, great mission and great performers. In other words, Let It Be is your ticket to ride to a great time. This entry was posted in Archive, Featured - Homepage, Live Events, Reviewed. Bookmark the permalink.